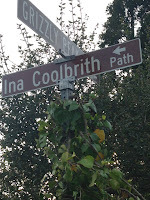 Thanks to the Berkeley Historical Society, the Berkeley Historical Plaque Project, and the Berkeley Path Wanderers Association, Ina Coolbrith has joined her friends in the Berkeley Hills. 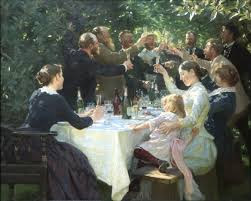 It's a gesture that is more than a century overdue. In East Berkeley, where you can walk pleasantly in the hills for hours, there is a constellation of streets, stairways, and paths that immortalize the early literati of the San Francisco Bay Area. Clustered between Marin Avenue, Euclid Avenue, Shasta Road, and Grizzly Peak Boulevard you will find byways named after Coolbrith's colleagues including Joaquin Miller, Mark Twain, George Sterling, Charles Warren Stoddard, Charles Keeler, and Bret Harte. Bret Harte had four named after him--until now. 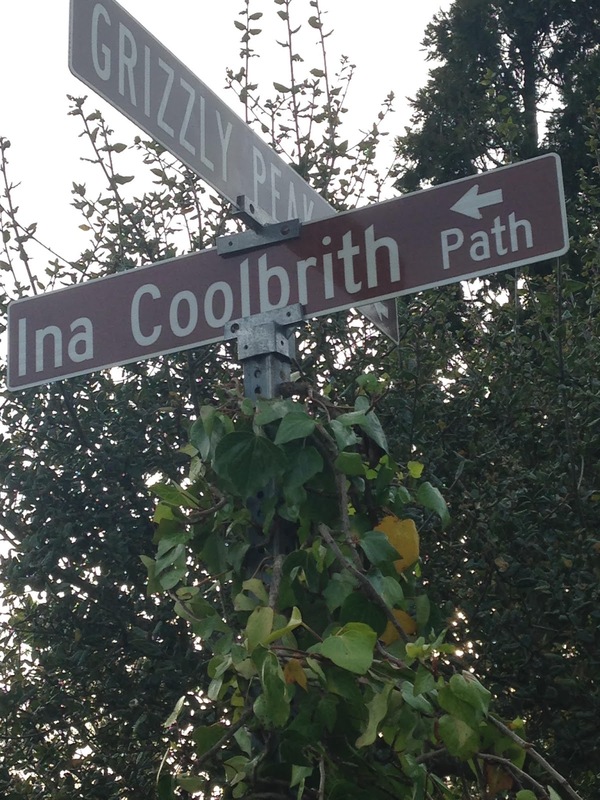 The City of Berkeley has changed the name of a stairway from Bret Harte Lane to Ina Coolbrith Path. It's a stairway that connects Grizzly Peak Boulevard and Miller Avenue. At the base of the stairway, the Berkeley Plaque Association and the Berkeley Historical Society has installed a new plaque to honor Ina Coolbrith. Why Ina Coolbrith you may ask? Read the argument in Berkeleyside. Now I'm happy to report it's official. Ina is cavorting with her friends and literary companions in the hills of Berkeley. A big heartfelt thank you goes to those who made this happen: Charlie Bowen, Jeanine Castello, Steven Finacom, Robert Kehlmann, Carl Wikander, and especially Burl Willes, Ina's angel.